Delta Air Lines’ 747 made a stop at Los Angeles International Airport this week on its hub-to-hub farewell tour for the Queen of the Skies. 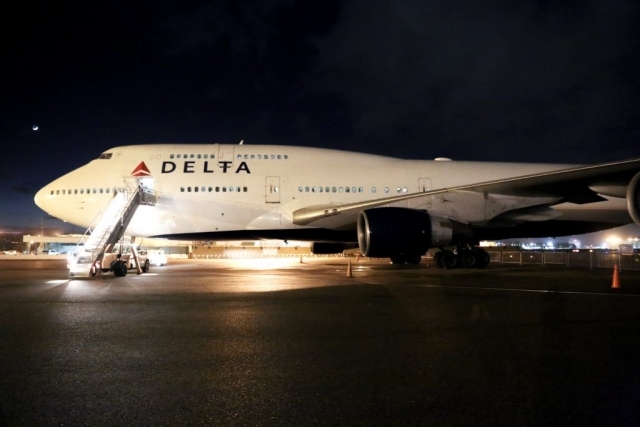 Delta ship 6314 arrived at Los Angeles International Airport (LAX) on Wednesday morning before 10 a.m. and parked at LAX’s Flight Path Museum & Learning Center, located near the south runway of the airport. 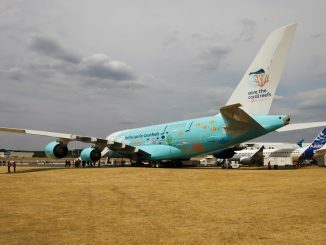 The aircraft stayed parked there for open tours until Thursday evening. As the last Boeing 747-400 to be retired by a U.S. passenger carrier, Delta wanted to make sure its LAX-based employees had another chance to see onboard the jumbo jet. 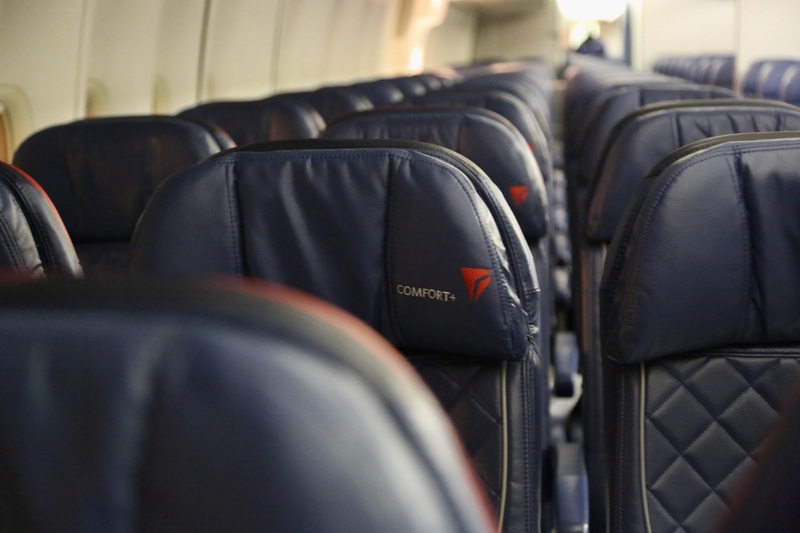 A mix of old and new Delta employees made the trip over to the other side of the airport throughout the day, along with a mix of airport employees from other airlines. 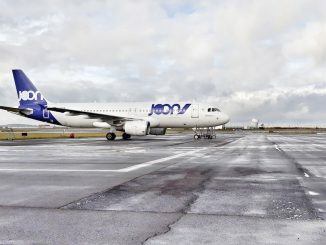 The jumbo jet’s last scheduled commercial service flew from Detroit to Seoul on Dec. 17, and it returned back to Detroit on December 19. 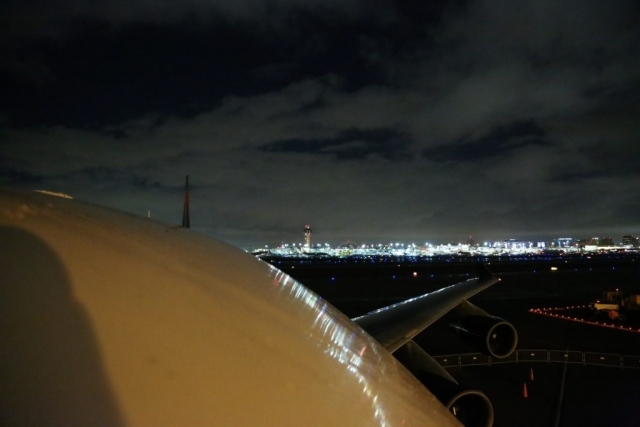 United Airlines also retired its 747 fleet back in November. 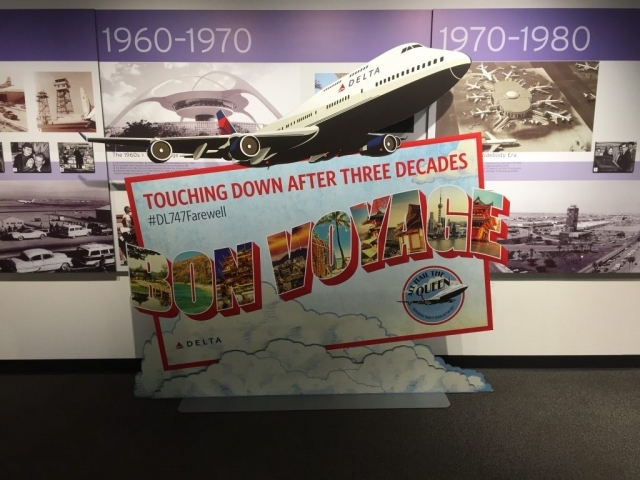 Unlike the hangar party events that took place at Delta’s hubs in Detroit, Seattle, Atlanta, and Minneapolis, the Los Angeles event was a much more reserved and quiet affair — sort of like going to see a special exhibit at a museum. 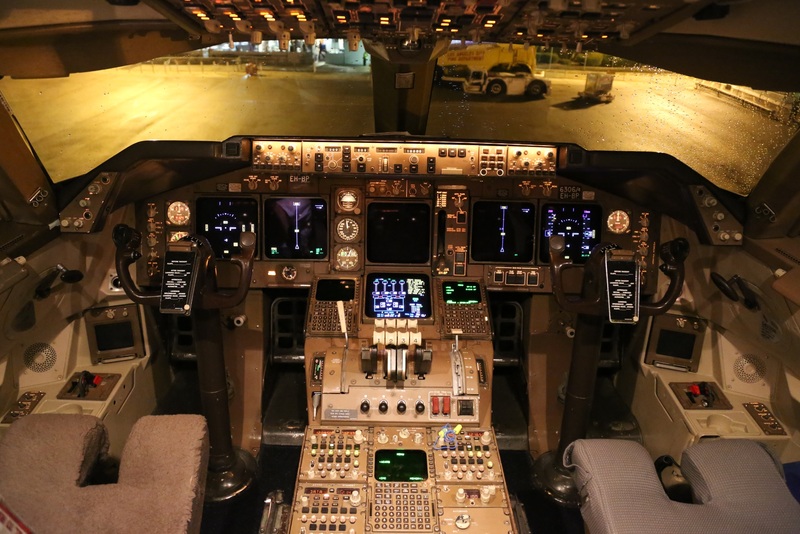 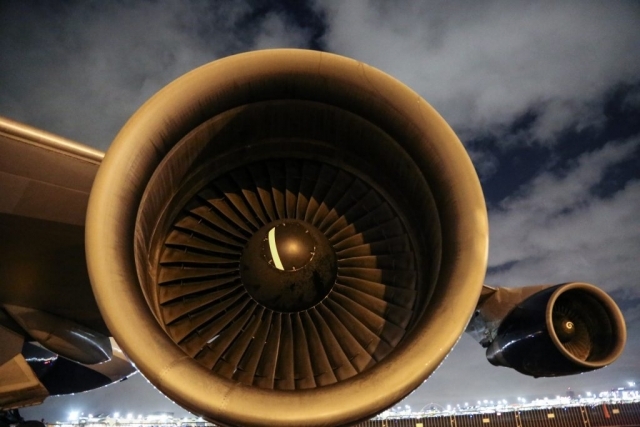 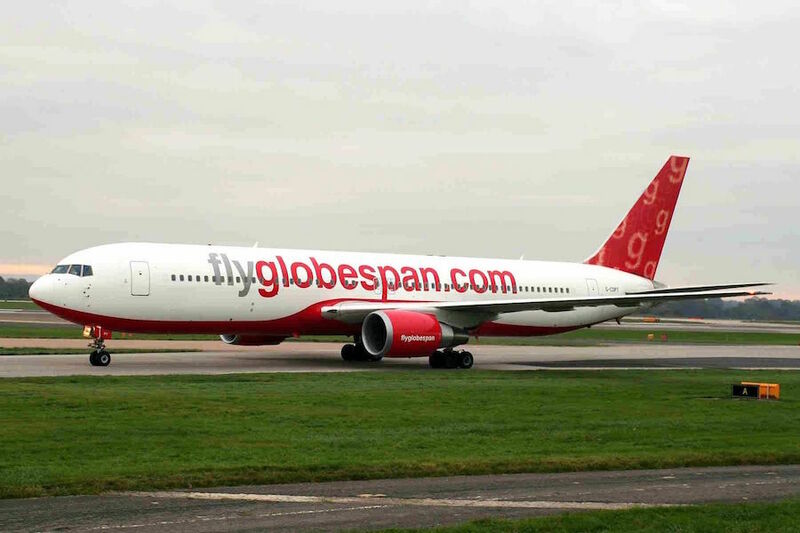 Employees and guests had every opportunity to tour and touch every nook and cranny onboard the aircraft. 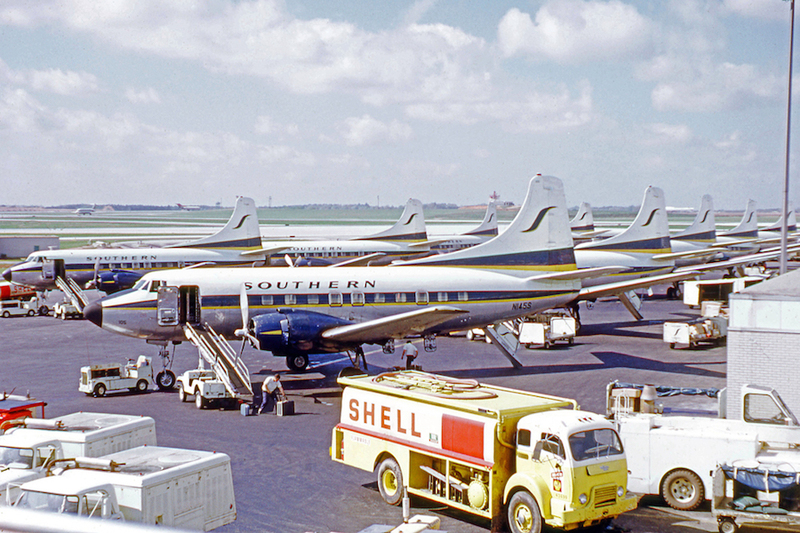 Some former Northwest Airlines employees also made a stop-by at the event to bid farewell. 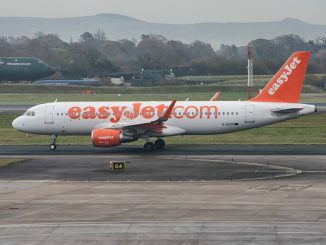 Almost everyone visiting had a story or observation to tell about the Queen of the Skies, and the two senior pilots onboard only had so many stories to tell from their 30+ years of flying. 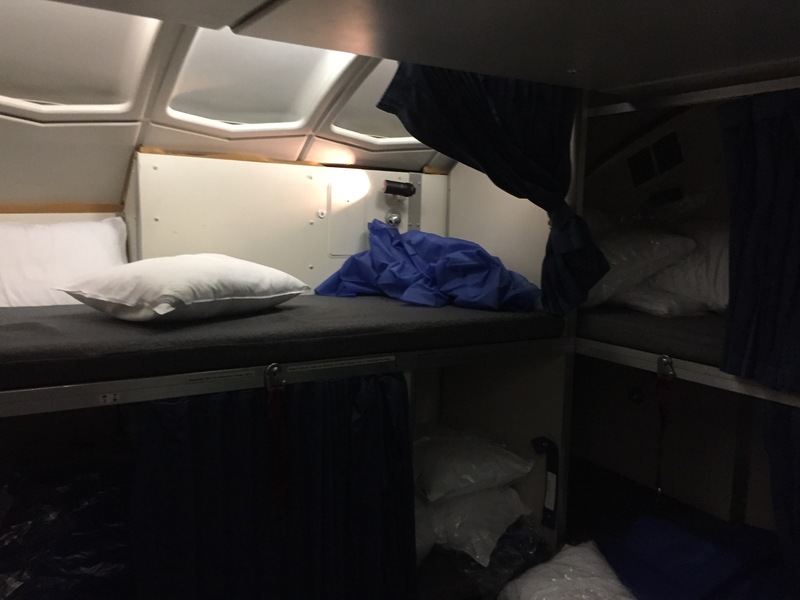 The Delta flight attendants onboard were also able to point out several unique features of the 747, including the airplane’s hidden crew bunk and closets. 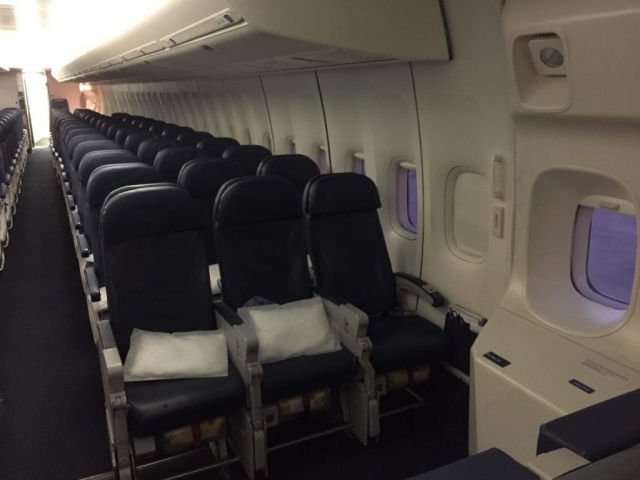 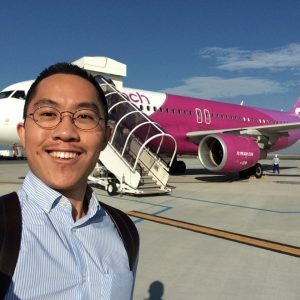 Everyone was thrilled to have their own time to explore and enjoy the aircraft. 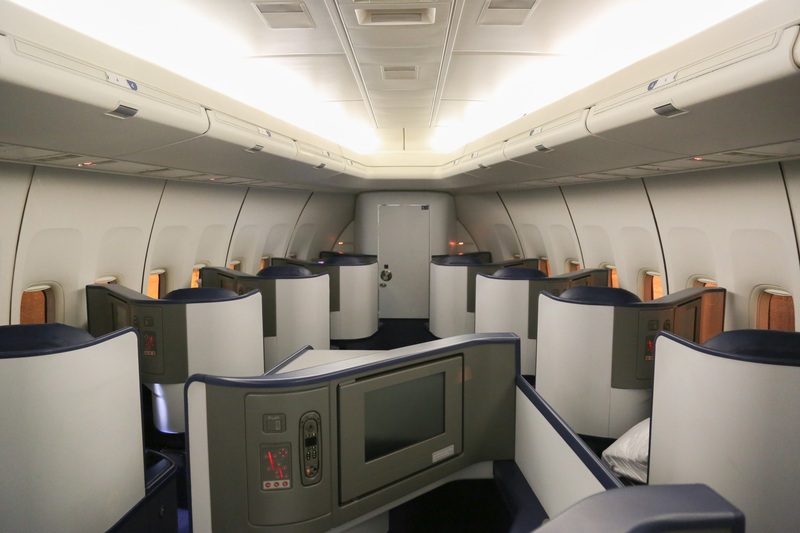 The Delta 747 features three classes of service, specifically Delta One, Delta Comfort+, and Main Cabin. 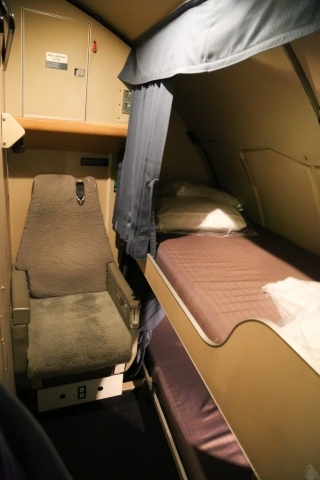 Westin Heavenly in-flight bedding used on the 747 service was also on display. 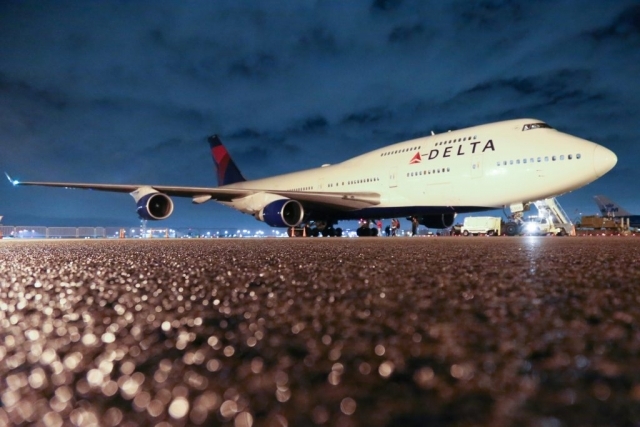 The Delta 747 is no stranger to LAX either. The first Delta 747 flight, Delta ship 101, went into service on Oct. 25, 1970 with one daily round-trip from Atlanta to Dallas and then Los Angeles. 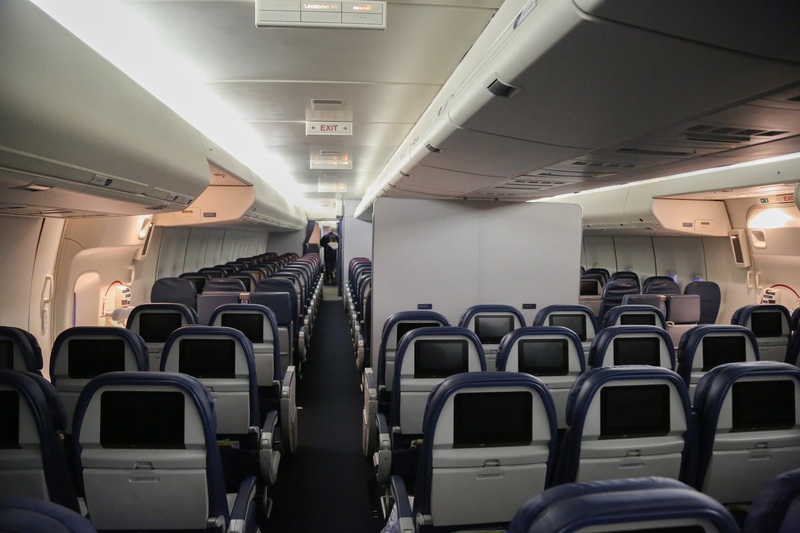 Delta’s 747 will soon be replaced with the much more fuel-efficient Airbus A350, which features Delta’s highly-lauded Delta One Suites and Delta Premium Select seats. 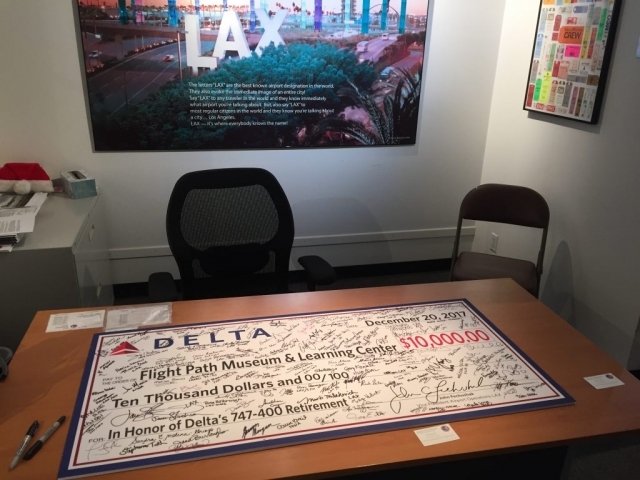 For the LAX event, Delta paid for security and ramp space, and rented out the entire Flight Path Museum for the event’s two days. A $10,000 check was also presented to the Flight Path Museum in honor of Delta’s 747 retirement. Visitors were also able to make donations to the museum for a chance at winning a fully-stocked Delta service cart. 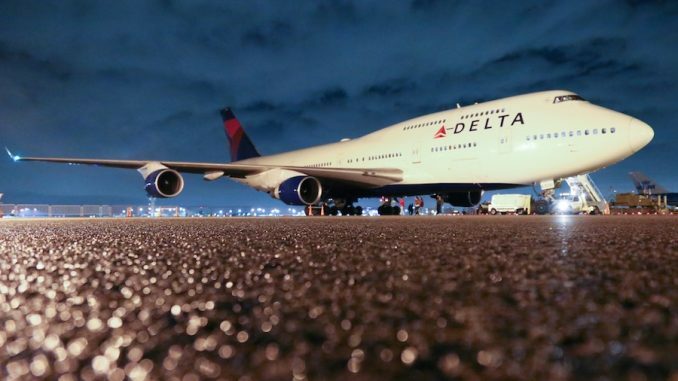 Before it’s gone from the skies forever, the Delta 747 will finish its career carrying several NFL and college football charters from now through January 2. 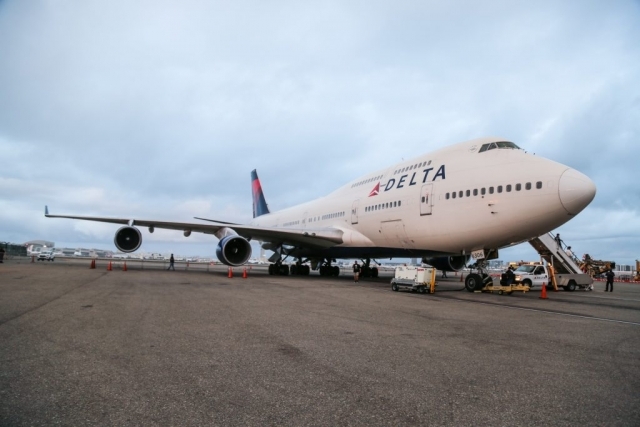 Although this specific aircraft will be headed to its graveyard near Tucson, Arizona, the first Boeing 747-400 ever built, Delta 6301, which was retired in 2015 after logging 61 million miles, has been preserved and is now on tour as part of the Delta Flight Museum’s 747 Experience in Atlanta.